Episode 1×06 “Krill” — After the Orville crew defeats a Krill attack on a brand-new colony, the Union sends Ed and Gordon on a dangerous undercover mission to infiltrate a Krill ship and obtain a copy of the Krill bible, the “Anhkana,” to better understand the enemy. Guest Cast: Kelly Hu as Admiral Ozawa, Dylan Kenin as Captain Haros, James Horan as Sazeron, Michaela McManus as Teleya, Michael Dempsey as Chief Leidecker. Air Date: Thursday, Oct. 12 (9:01-10:00 PM ET) on FOX. 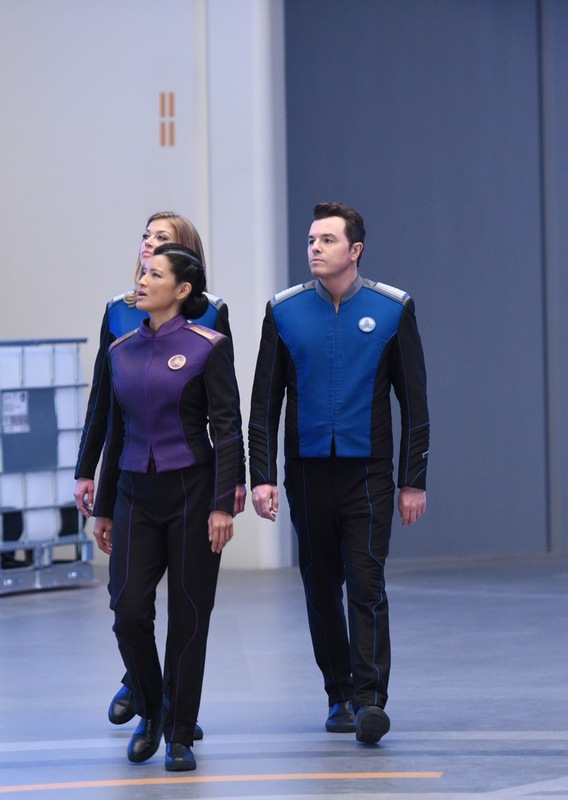 THE ORVILLE: Episode 1.06 "Krill"